Melvin Van Peebles is an amazing real-life character. 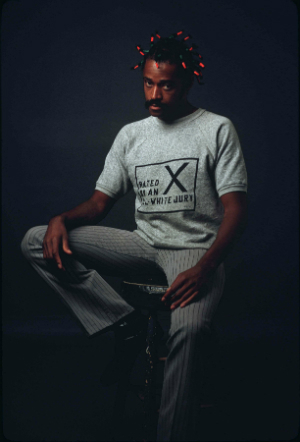 As documented in Joe Angio's How to Eat Your Watermelon in White Company (And Enjoy It), Van Peebles lived his life as he saw fit from an early age, following his artistic muse wherever it led him. In his twenties, while working as a cable car conductor, he wrote a book about his experiences, which promptly got him fired. Someone suggested he become a filmmaker, and in pursuit of that dream he made several short films. Hollywood was not interested in his calling cards, but he found work in The Netherlands. The famed Henri Langlois (Cinémathèque Française) invited him to Paris to screen his shorts, where the budding filmmaker was rapturously received -- and then abandoned completely after the screening, without even a coin in his pocket. After a brief time on the streets, he decided he would write to make money. He learned French, found work with a radical Paris newspaper, and thoroughly enjoyed the 1960s. In the latter part of the decade Van Peebles returned to filmmaking and, in need of a musical score, yet unable to afford to hire anyone, decided to learn music himself. That led to his first feature film, The Story of a Three-Day Pass, as well as several influential albums. Finally, Hollywood called, and he made the studio comedy Watermelon Man. From there, Van Pebbles decided to make his own independent film, the smashingly strident Sweet Sweetback's Baadasssss Song, which became the most successful independent release of all time, at least up to that point. It's a jolting, rough-hewn picture, more revolutionary for its powerful message than its cinematic qualities, but nonetheless an incredibly compelling experience. Angio's documentary makes the years fly by. Aside from some carefully worded comments about his singing abilities -- or lack thereof -- and his propensity for dating multiple women at the same time, no criticism is heard about the man or his work. All three of his children are interviewed and all speak positively about him. So the film is more a celebration than any kind of critical analysis. 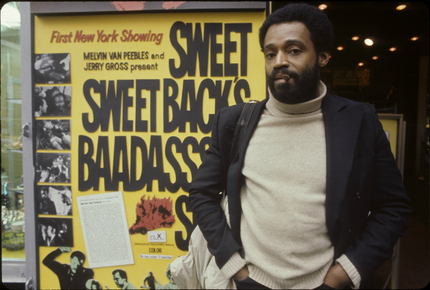 By its mere existence, however, the movie speaks volumes about Melvin Van Peebles' many accomplishments and his restless artistic pursuits. It seems like he's tried everything that caught his interest and achieved a measure of success -- sometimes revolutionary success -- with every one of his pursuits. He wrote and directed a Broadway musical! He became a stock market options trader! How to Eat Your Watermelon in White Company (And Enjoy It) is a marvelous document of his professional career, as of 2005, and well worth seeing. I saw it for the first time (and wrote a program note for it) when it screened as part of the Los Angeles Film Festival more than 10 years ago, and I'm very pleased that it holds up well as a viewing experience. The film is also available to watch via Amazon, iTunes, and Vudu. More information is available at the Music Box Films website.